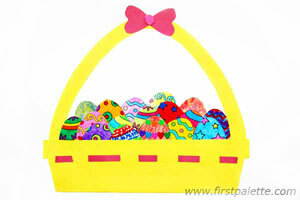 Easy Easter crafts designs come to life with these printable Easter Egg and Basket templates from First Palette. Check out all the templates and instructions on the First Palette site HERE to make your own creative Paper Egg Craft. Looking for something that explains the true meaning of Easter? Easy Easter crafts ideas are made simple by combining common household items, Scripture verses, and plastic eggs when you make your own Resurrection Eggs HERE. Looking for more Easy Kids’ Easter Crafts? Try these Easter Bunny Buckets sent in by a Faithful Provisions reader!